About four years ago, I railed against the state of design at the time. As a practicing designer, it deeply troubled me that the design world had become so self-absorbed that it lost touch with reality. News articles and blogs were celebrating design for the beautiful, delightful products that it brought into the world, and praising the rockstar designers whose sheer creativity produced such marvelous creations. We didn’t need more voices singing the praises of “good” design, only to fuel consumer appetites for Apple, IKEA, and Target merchandise. We needed more designers to roll up their sleeves and get their hands dirty with problems people face every day, like getting access to quality health care, affordable housing, clean water, and secure food supply. Sure, there were designers doing noble, respectable work then, as there always are, but how could anyone cut through the noise to see the good among the not-so-good? How could anyone understand the value of design in responding to real needs, not simply commercial interests? Today, little has changed. Awareness of design is growing rapidly, thanks to the glut of marketing hype about design still clogging up magazines, news sites, and blogs, but it remains as daunting as ever to separate the wheat from the chaff or know which is which. Designers still design artifacts and experiences and apps (so many apps! ), but more are aspiring to change the world, albeit with an incomplete skill set (on a related note, see Don Norman’s series of essays, starting with “Why Design Education Must Change”). Design process is being further decoupled from design craft and design expertise by way of design thinking, which has now falsely turned into an open-source cure-all for all of business’ and society’s woes — designers not required. Designers aren’t so much fighting for a seat at the strategy table any more as they are scrambling to keep up with a continuously changing market environment that’s wresting control of design from their very hands and putting the integrity of design into question. Either everyone at the strategy table has done some form of design thinking training by now and is plastering their boardroom with sticky notes, or they’re making designers an offer they can’t refuse: join us or be assimilated. Let’s not forget the growing number of business, engineering, and other university programs that are tacking on design and/or design thinking to their curricula in order to better equip students to solve “wicked problems” (This is a grossly misused term, by the way; Horst Rittel and Melvin Webber, who introduced the term “wicked problems” in 1973, outlined ten criteria, some of which state that wicked problems are not truly solvable like “tame” problems due to their constantly changing and deeply complex nature.). So yes, I’m still complaining. What continues to trouble me are the persistent disconnects between what we say about design, what design actually is, and what design and designers can realistically accomplish in the world. There’s a sizable gap between where the focus of attention currently is — the selling (and selling out) of design — and where, in my opinion, it needs to be – clarifying design’s role and aligning design activities and services to where they’re most needed (or at least, where they’re best suited). To me, this is part of a larger problem that has only lately attracted attention: design has swelled over time to become too many different things for many different people. In the process of scaling up beyond “posters and toasters” and adopting methods from the social sciences, business, and creative problem solving along the way to tackle bigger challenges, design’s boundaries have started to lose definition. And without recognition of the growing body of knowledge at its core, design has no center of gravity to anchor it against misappropriation. Design has long been evolving in tandem with social, cultural, technological, political, environmental, and economic changes across the world. Now it’s getting tangled up in all of them. For design to move forward (not backwards) through this current cycle of change, as its reach extends further into more dimensions of life and more participants enter the design space, it needs a system or framework for understanding it and engaging in it productively. Especially at this moment in time, design needs to be reframed, not as any one person or group wishes it to be, but as an inclusive synthesis-in-progress of diverse perspectives that are part of the new reality of design. How do we communicate and demonstrate the value of design expertise in the emerging context of DIY design? How do we encourage a dialogue that helps clarify the role of designers alongside all other participants in the full spectrum of design interventions? How can designers stand up for design and lead the conversation about design while displaying some humility? The assortment of perspectives below serves as more of a snapshot of thinking than a rigorous examination of the questions I pose. It’s a reflection of my current headspace as I sort through these issues in my own practice. The problem, or so the critics of expanded design claim, is that the proliferation of new approaches has made design seem even fuzzier and less coherent. They have a point. If the concept of expanded design is taken to its natural conclusion, just about any form of planned change can be described as having been designed, and design will not only become fuzzier still, but indistinguishable from common sense. Does this matter? I’d argue not, at least not if identifying something as a design project will improve the outcome. While Rawsthorn points out the potential pitfalls of making design a catch-all activity for a broad swath of human problem solving, the presumption that a “design” frame or lens can lead to a better end result requires more explanation. Why exactly is this design frame so beneficial? The article doesn’t make it entirely clear what exactly is inside design as opposed to non-design-based problem solving, aside from the “design process of research, analysis, visualization and communication,” that gives it value. Furthermore, what do design and designers bring to bear exactly on non-traditional design problems versus laypeople or “intuitive” designers, who’ve accomplished much on their own for so long? I’m sure many designers could easily answer that question, but the fact is that they haven’t been, or at least they’re not doing enough to communicate it widely enough. 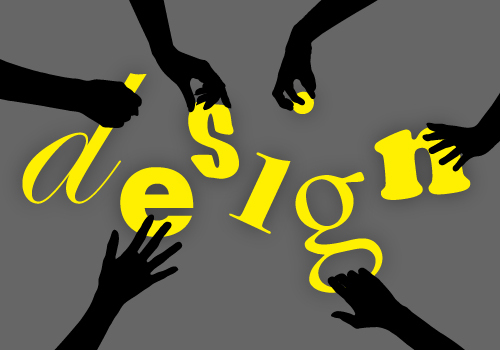 Design is a culture and a practice concerning how things ought to be in order to attain desired functions and meanings. It takes place within open-ended co-design processes in which all the involved actors participate in different ways. It is based on a human capability that everyone can cultivate and which for some — the design experts — becomes a profession. The role of design experts is to trigger and support these open-ended co-design processes, using their design knowledge to conceive and enhance clear-cut, focused design initiatives. A missing piece today in achieving the vision Manzini sets forth is the development of new skills among designers who pursue this direction (rather than assume all designers should follow this path). He does detail various techniques and activities for supporting the co-design process, such as incorporating visual tools to prompt social conversations and creating physical spaces and infrastructure for collaborative work, but generally speaking, design education is not yet focused on building fundamental capabilities to equip designers with both traditional craft skills and creative collaboration skills together. In the United States in particular, design’s rhetoric and self-definition has centered around its relevance to commerce. Design students are seldom taught to recognize or articulate their own unique expertise outside of their value to business. Our emphasis on design as a profession rather than as a discipline has left us without the scholarship that validates other fields. Our inability to advocate for design in larger terms excludes us from discipline-defining, knowledge-producing, and policy-generating activities, especially within research, education, and government. Without acceptance as a bona fide discipline supported by research and literature, without regard for its legacy, without an evolving design education system oriented to human outcomes instead of outputs, and without designers serving as vocal proponents of design’s value across diverse contexts, design may very well lose whatever identity it has and become whatever anyone wants it to be.